Snap Inc (NYSE:SNAP) got punched in the gut Dec. 12 and the pain inflicted on those owning SNAP stock is palpable. That punch was largely delivered by Apple Inc. (NASDAQ:AAPL) when it announced that it was paying an estimated $400 million for Shazam, a UK music and image recognition service, whose app is one of the most popular in the App Store. Shazam had also been targeted by Snap Inc.
Snapchat stock was making progress over the last month — up 25% from its 30-day low of $12.17 — prompting some to ask whether SNAP stock was/is a good buy? 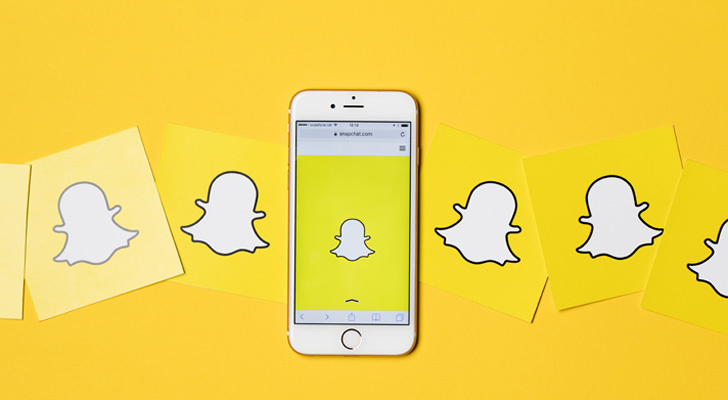 On Monday, Dec. 11, Monness, Creeps, Hardt & Co. analyst James Cakmak wrote in a note to clients that he expected Snap Inc. to grow its advertiser base and inventory of ads in the coming quarters. Also, a growing active user base combined with the 12% stake held by Tencent Holdings Ltd (OTCMKTS:TCEHY) are indications the stock is on the mend heading into 2018. He isn’t the only analyst who’s confident about the social media platform’s future. On Dec. 5, Barclays analyst Ross Sandler upped his 12-month price target by 64% to $18 — a dollar more than the SNAP stock IPO price. “At the end of the day the reason marketers should continue to come back to SNAP advertising is because of the stranglehold on the younger demographic, which even Facebook/IG can’t match,” Sandler wrote. While you’re going to have a hard time finding anyone at InvestorPlace who will say something nice about SNAP stock, at least those owning its shares can gain comfort from the fact a few analysts are breaking from the crowd. It’s a definite sign of hope. Why sell to Snap Inc. when you can go with the world’s largest public company? According to sources, Snap started talking to Shazam in the summer about doing a deal, but waffled on the price, forcing Shazam CEO Rich Riley to look elsewhere. Apple’s getting a deal on Shazam. The latest round of funding valued the company at more than $1 billion, which would suggest, given the markdown in price, that Shazam’s long-term business model never really had a chance of success. While the deal is a direct hit against Spotify, it can’t be good news for Snap investors who must recognize the fact the company is now battling two tech giants in Facebook Inc. (NASDAQ:FB) and Apple, albeit indirectly. It’s bad enough that Snap is losing money, but the argument for hanging in with SNAP stock has been its cash hoard — down to $2.3 billion as of Sept. 30, 2017, from $2.8 billion at the end of June — which would keep it afloat through the unprofitable period until it can scale its users to a point where it’s making money. Perhaps it will ultimately be proven that a purchase of Shazam wouldn’t have been worth the additional cash burn, but it doesn’t paint a good picture of Snap Inc.’s decision-making. Like Shazam opting to go with Apple, I would suggest that any investor looking at owning a social media stock go with Facebook over Snap, because you know what you’re getting with Mark Zuckerberg and company. Sure, SNAP stock could go higher, but I don’t think it has too many missed opportunities remaining before the cash runs out. Apple’s latest acquisition reflects poorly on Snap. Article printed from InvestorPlace Media, https://investorplace.com/2017/12/apple-aapl-acquisition-snap-stock/.